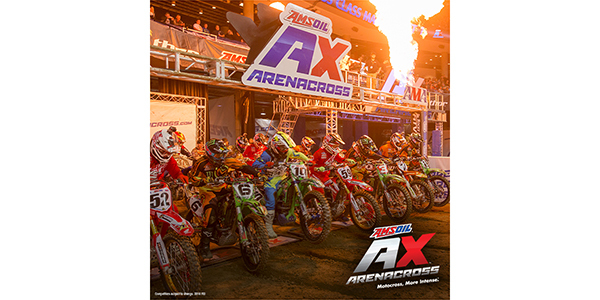 AMSOIL Arenacross provides a fully-engaging environment for fans with an exclusive pre-race Track Party and adrenaline-filled opening ceremonies for 12 nights of fierce, high-flying racing competition. Reigning two-time AMSOIL Arenacross champion Gavin Faith will compete in 2018 alongside the sport’s unwavering two-wheeled professionals over obstacles sculpted from 3,000 tons of dirt brought in for each race that sends racers flying up to 30 feet in the air. You must have a valid 1/6/18 event ticket and track party pass for entry. Track party passes are available for purchase at the Nutter Center box office for $10 or online at Ticketmaster.com (subject to additional fees). bring an empty can of Monster Energy Drink to receive FREE entry into the track party (valid event ticket is still required). Doors for those without track party passes will open at approximately 6:00 p.m. Still photography with flash is permitted; however, videography is prohibited.